Crowds gathering in Health Sciences Park to support the removal of the Nathan Bedford Forrest statue. Memphis’ old Confederate statues are safe and crated in their secret location and they are ready for purchase and display, just not in Shelby County. 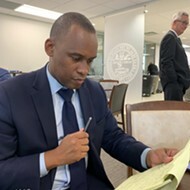 Greenspace Inc, the nonprofit agency that bought two Memphis parks last year, asked Tennessee Governor Bill Haslam in a letter Thursday to help them identify a buyer for the two statues removed from the parks. The letter also included a draft of a request for proposals (RFP) for potential buyers. 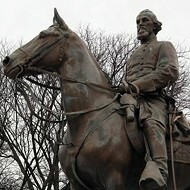 “Once responses are received, we ask for your help in identifying qualified persons to assist our board of directors in evaluating the proposals and determining the best course of action,” reads the letter from Greenspace president Van Turner Jr.
A statue of Ku Klux Klan founder and slave trader Nathan Bedford Forrest was removed from Health Sciences Park. 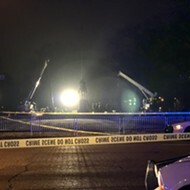 Another statue of Jefferson Davis, president of the Confederacy, was removed from Memphis Park. 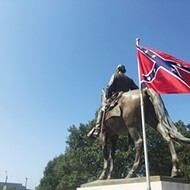 Another statue, a bust of Confederate Army Captain J. Harvey Mathes, was also removed from Memphis Park but was not listed for sale in Greenspace’s letter to Haslam. The other two, though, are ready to go. But the going might not be easy. According to the RFP, the bronze Forrest statue is 12 feet tall and weighs 5.5 tons. Its brick base is seven feet tall with four marble overlay pieces. 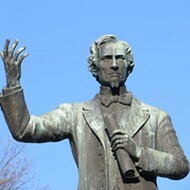 The Davis statue is eight feet tall with an 11-foot grant base. Its weight is unknown but the statue is hollow. If a nonprofit (the RFP said Greenspace will only sell to qualified nonprofits) can move the statues, they will also have to come and remove the pedestals from the parks and restore the parkland after removal. But that removal will not impact the graves of Forrest and his wife at Health Sciences Park, according to Turner’s letter. Nonprofits must prove financial stability, providing tax documents for the last three years. They’ll have to pay all costs with moving the statues, removing the pedestals, and fixing the parks. 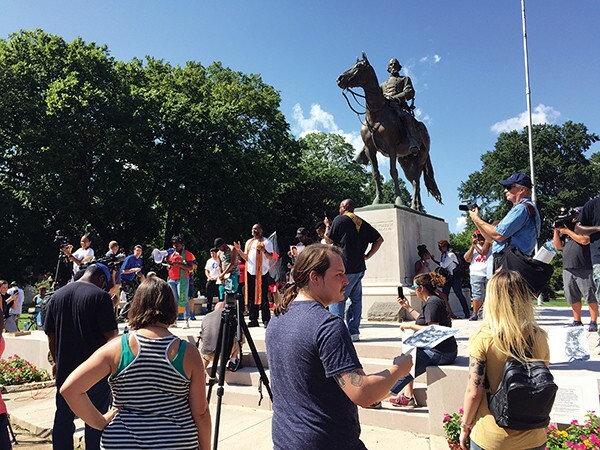 They must agree to maintain and preserve the statues and exhibit them in a public place, preferably in a place that offers free public access and historical context. The new owners must also agree not to move the statues for the next 25 years. Just don’t put them here. 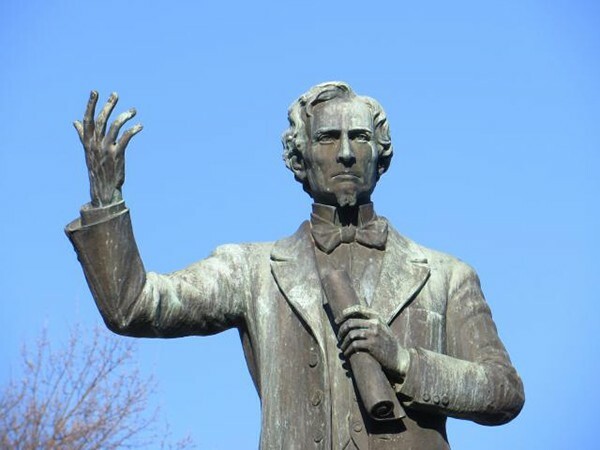 “Statues cannot be relocated to Shelby County, whether on public or private property, at any time…” reads the RFP.